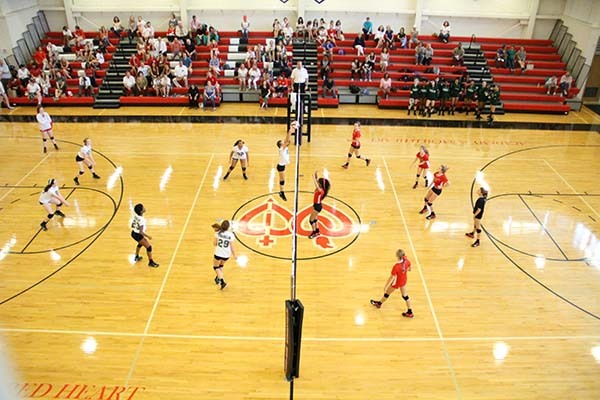 • The field enables both athletic teams and physical education classes to train safely outdoors. 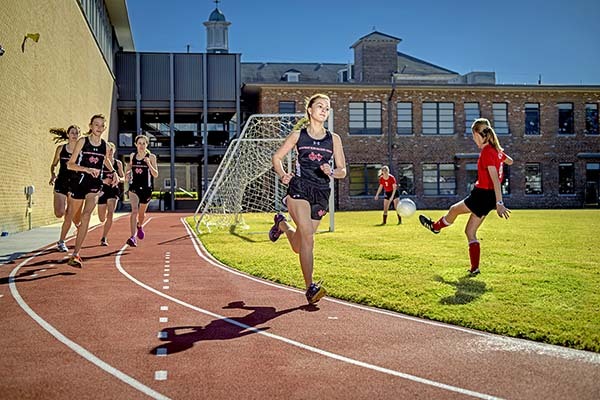 • The outdoor two-lane running track allows more runners to practice safely within the gates of the Sacred Heart campus. The outdoor track measures 8.75 laps per mile, with long straightaways that is used by hurdlers and sprinters. The corners of the track serve as the throwing launch areas for javelin, discus, and shot put throwers. • A long jump pit is located in the northeast corner of the track. The eastern straight away extends to serve as the long jump runway. The track and long jump pit appropriately reflect Sacred Heart's deeply rooted running culture. 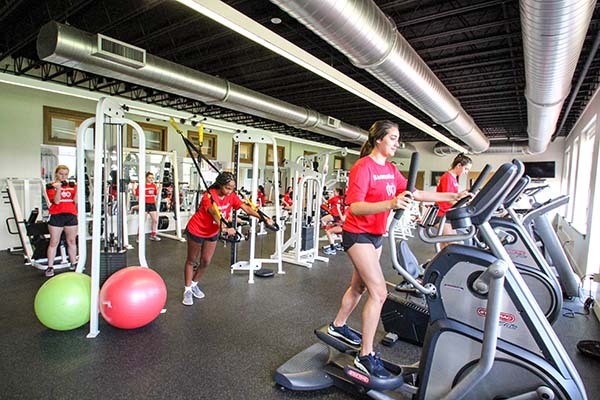 • The 4,000 square foot turf putting green is located on the southwest corner of Sacred Heart's outdoor athletic space. The putting green reflects the school's goal of maintaining a top golf program in the state.